Our Chaplain is Rev Dale Hanson. 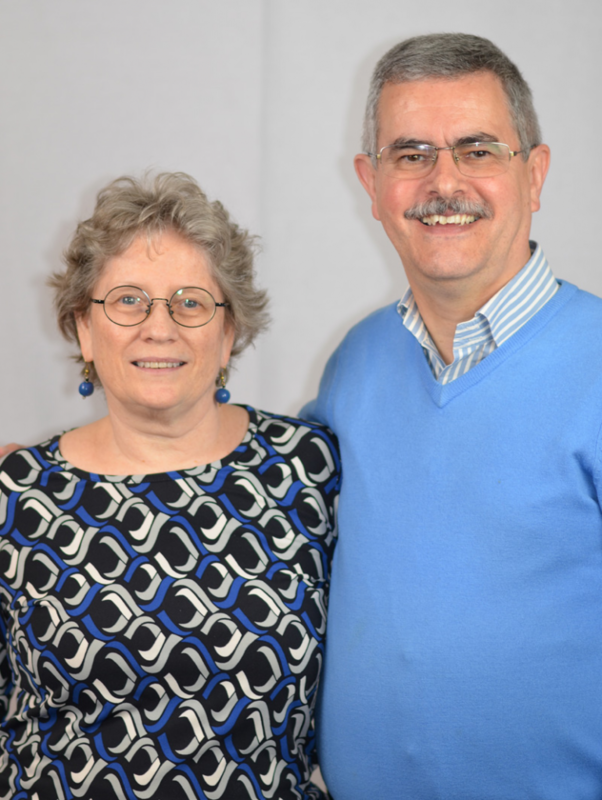 Dale and his wife, Pat, joined St Mark’s in the summer of 2018 and we look forward to growing in our journey of faith together. A few words from Dale: “Originally, I come from the north east of England. I have a background in the biological sciences and have also worked in retail, buying and selling cameras. I am a very keen squash player, birdwatcher and wildlife photographer and supporter of Newcastle United. My wife, Pat, is proudly Canadian, originally from near Niagara Falls and has become accustomed to being a “citizen of the world” as we serve in different places. She has been involved in teaching English to asylum seekers and leading Bible study groups. We have two Children, both in their thirties; Peter is working as an architect in London while Cora is a teacher just outside Durham in north east England. She married in October 2018. I began Ordained Anglican ministry in Liverpool following my Ordination in 1984. We have served in St. Andrew’s Kowloon, Hong Kong (English speaking Anglican church), on Tees Side, in the University City of Durham before returning to Hong Kong to lead one of the daughter churches of St. Andrew’s, then to share in the senior leadership of St. Andrew’s as the church underwent a major development to increase the capacity and potential for mission. 1st Sunday of the Month 9.00 am – Holy Communion (Book of Common Prayer) (in the Old Chapel at rue du Pont Colbert) This is a traditional service using the Book of Common Prayer. The congregation is usually a small group who may prefer the more traditional service and/or an earlier service. The service lasts for about 40 minutes. 1st Sunday of the Month 10.30 am – Morning Worship (Common Worship) We gather as a whole congregation, starting with worship songs after which the children and young people go out to their own dedicated programmes. The overall style of the service is informal including some of the Morning Worship liturgy. The whole service lasts around 80/90 minutes and is followed by Tea and Coffee and a time of fellowship. 2nd & 4th Sunday of the Month 10.30 am – Holy Communion (Common Worship) We gather together for the first part of the service before the children and youth go out to their own dedicated activities. We use one of the Common Worship Holy Communion liturgies with plenty of sung worship. The service lasts around 80/90 minutes and is followed by Tea and Coffee and a time for fellowship. 3rd Sunday of the Month 10.30 am – All-Age worship Services on the 3rd Sunday of the month are more informal. We are exploring new forms of worship which tend to differ from month to month and are more flexible. We make use of interactive talks, puppets, and creative activities to worship on these Sundays and our great Youth Band leads us in song. We gather as a church family during these services and there is always something for all ages. Special moments like Baptisms and Dedications are often celebrated on 3rd Sundays. Services are generally shorter (approx 1 hour) and are followed by refreshments. Our hope is also that those who are not used to attending church will find these services enjoyable and accessible. 5th Sunday of the Month 10.30 am – Common Worship For months where there is a 5th Sunday, the service tends to follow the pattern of a first Sunday service.